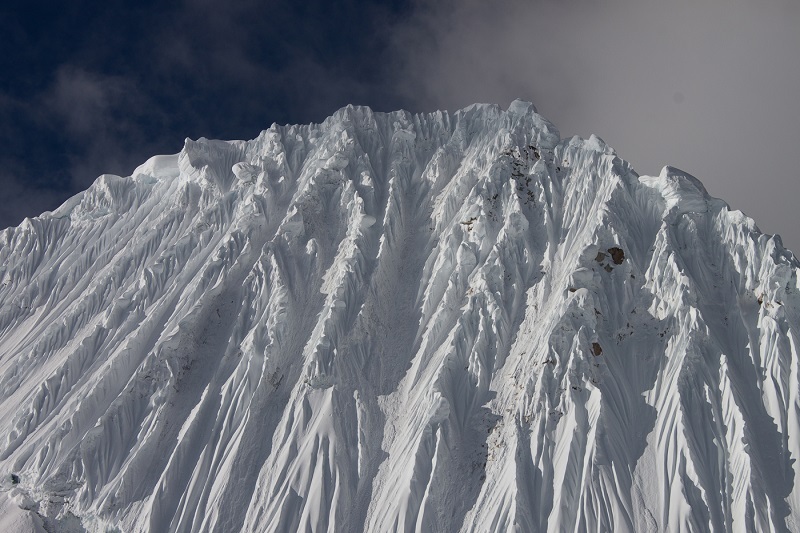 An astonishing pyramid of snow and ice, Alpamayo is considered the world's most beautiful mountain. 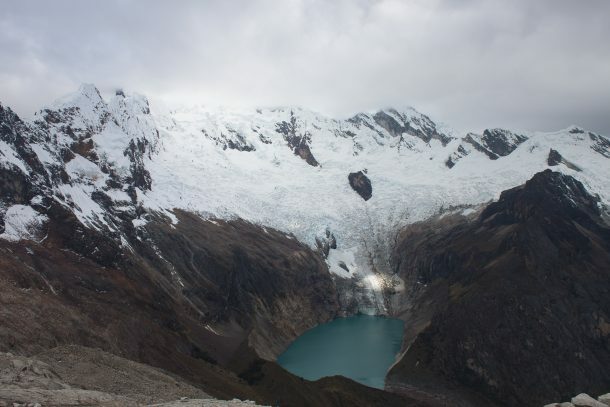 Alpamayo is arguably the crowning jewel of the stunning Cordillera Blanca region. 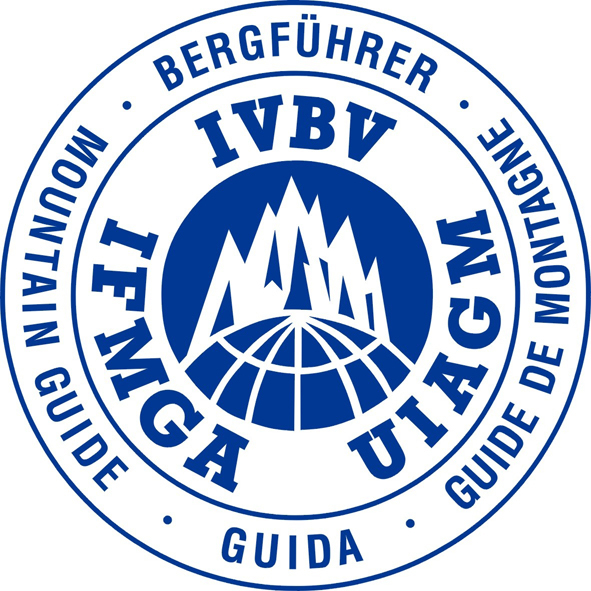 In 1966, a survey in Alpinismus magazine awarded this illustrious mountain with the title of the most beautiful mountain in the world. Since then, it has attracted ambitious climbers from all over the world. 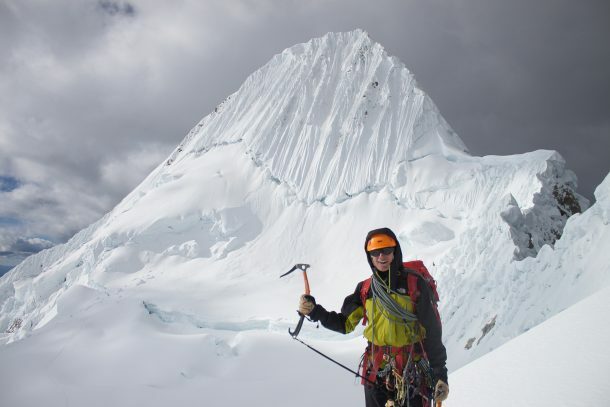 Every year, a wave of alpinists arrive in Perú with the singular goal of making it to the summit of Alpamayo's Southwest face. The mountain's summit is a lofty 5,945m (19,690 ft) Moreover, it is a challenging hike with less than 50% of climbers reaching the summit. The assent has a 70+ degree slope of snow and iced. 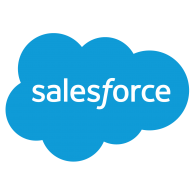 Due to its technical nature, it requires previous experience and strong fitness. Furthermore, In the French System of technical grading it is rated AD+, but depending on conditions can also be D or D+. One of our most popular expeditions pairs a climb of Alpamayo with an ascent of the neighboring Quitaraju. 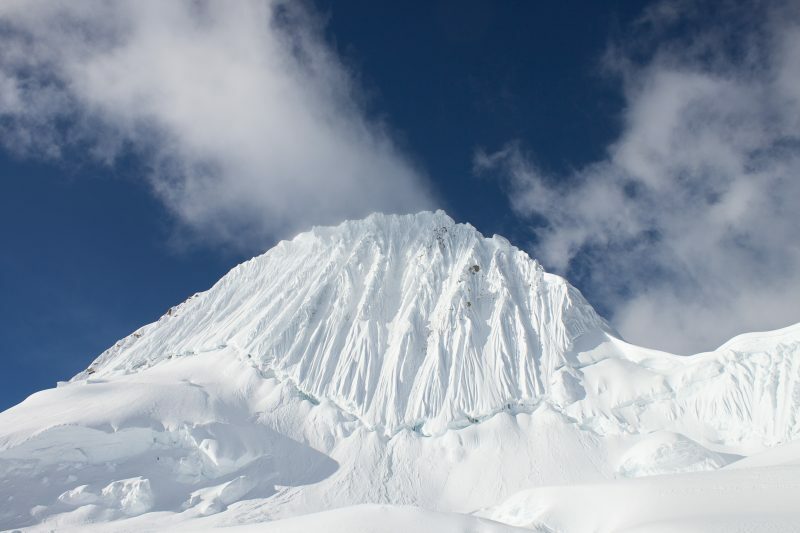 Directly to the east of Alpamayo, Quitaraju's summit is measured at 6,040m (19,820ft). The mountain's north face has a 40 to 55 degree caked in crisp snow. 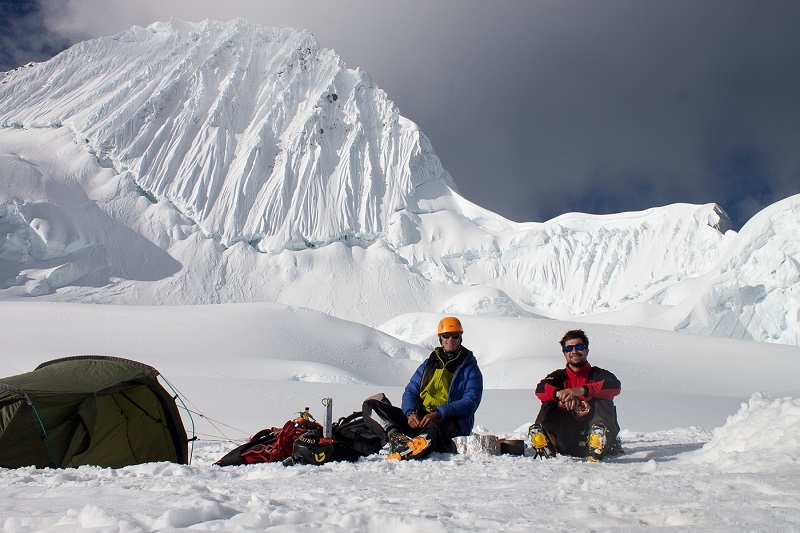 In addition, the final push before Quitaraju's razor-sharp summit features a challenging but enjoyable period of ice climbing. 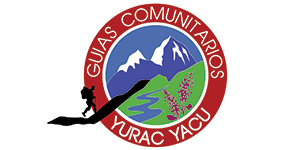 These two climbs are often preceded by an acclimatization climb of Huarapasca or Yanapaqcha. 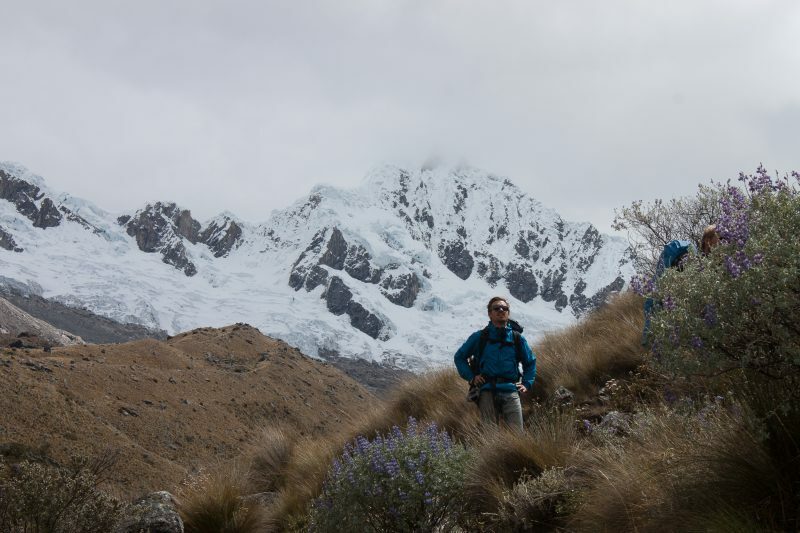 They are both accessible, semi-technical and enjoyable climbs close to Huaraz. 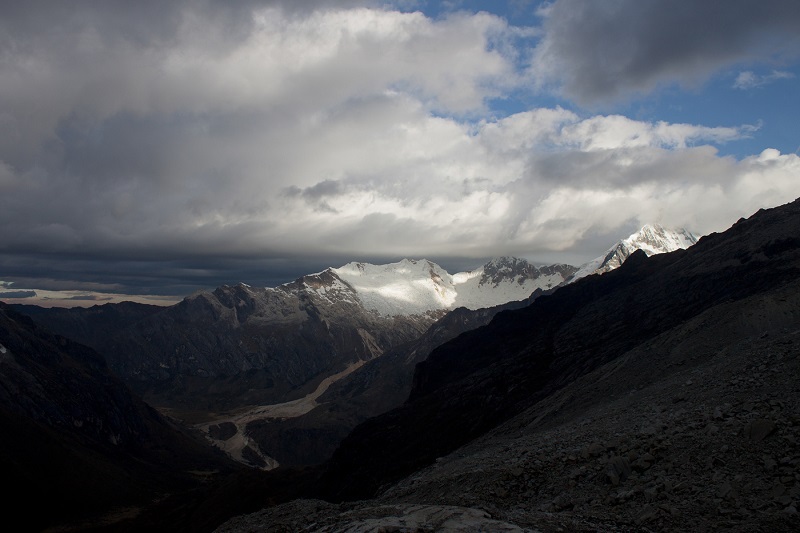 As well as being a difficult climb, Alpamayo is also a challenge to arrive too. 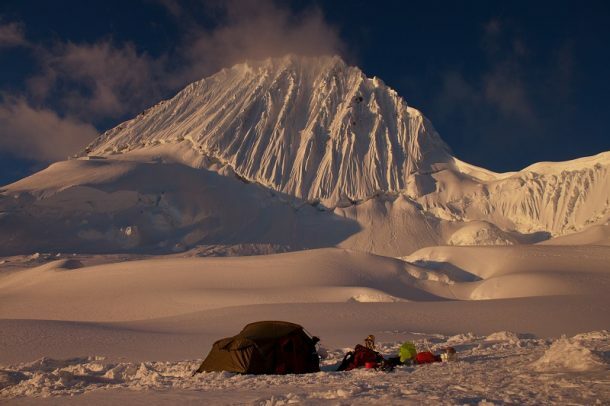 It takes three to four days to arrive at the base camp. In addition to this, you will be carrying full gear throughout. 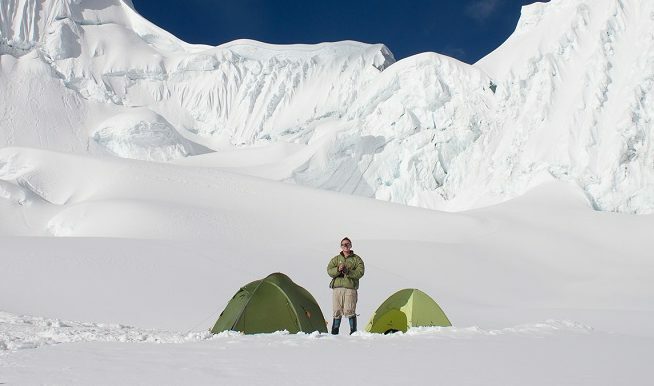 This expedition is not for the faint-hearted. However, seeing the alpenglow light up on the west side of the mountain is an unforgettable sight and it is one that makes mountaineers return year after year. Every year we put together successful groups for Alpamayo, often to a tried-and-tested itinerary (see suggested below) but we also deliver fully customized options including an expedition link-up with the Full Alpine Course. 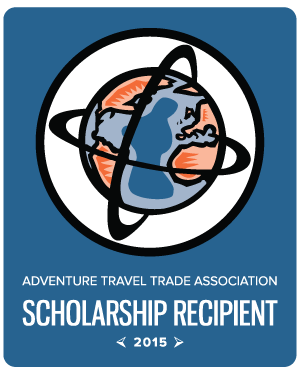 "I had an incredible experience and would definitely travel with Project Cordillera again. The whole thing blew my mind." Private airport pick-up, and one night in Lima. We'll recommend a tasty restaurant in Latin America's most famous food destination! Private transfer and coach to Huaraz. Enjoy views of the giant sand dune and the changing mountain scenery before arriving at your hotel in the mountain town. 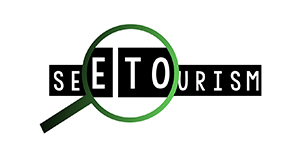 Meet the guides and review your itinerary, go over plans and finalise the expedition details. Spend the rest of the day exploring nearby ruins and getting to know the city. Get acclimatized with a day hike to the turquoise waters of Laguna Churup (4,500m). Leave early for the climb of Huarapasca (5,420m), a fun, semi-technical peak that's perfect practice torefine skills for the coming climbs. Head out to Cashapampa where you'll load the donkeys with gear and supplies. 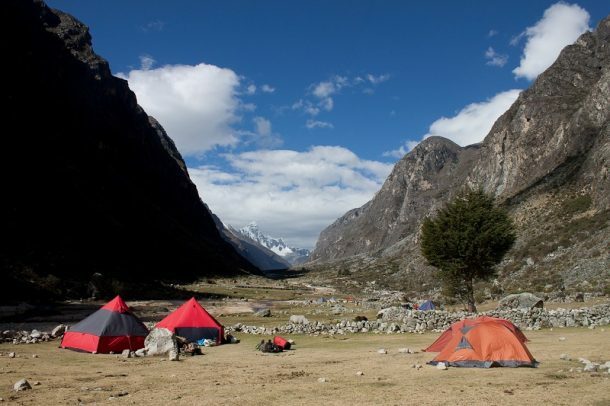 Hike up the beautiful Santa Cruz valley and camp near a big alpine lake en-route to base camp. 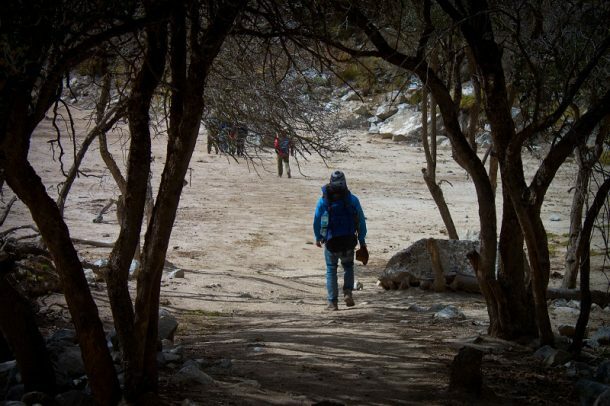 Continue the approach, arriving at Base Camp by the afternoon. Enjoy 360 degree high white mountain views. Ascend the steep moraine to the Moraine Camp (4,900m), where you'll have an exceptional view of Artesonraju and Alpamayo. 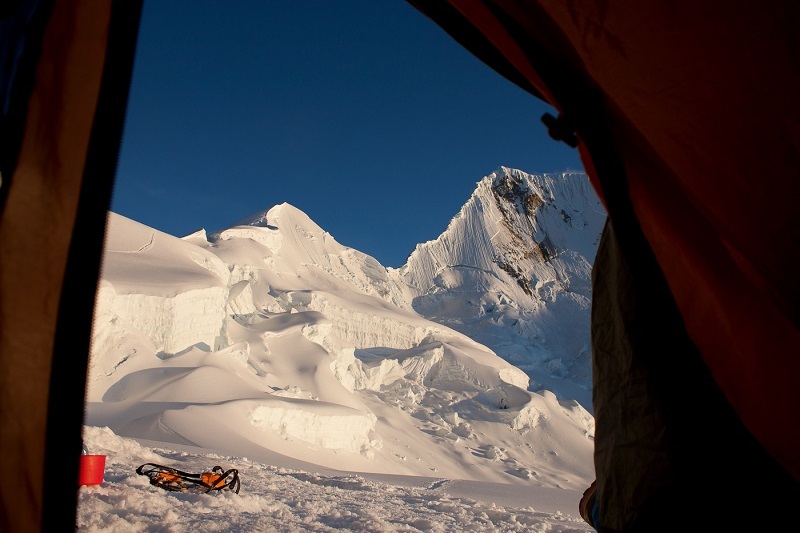 Ascend up to the High Camp (5,200m), perched on the snowy col between Alpamayo and Quitaraju. Spend the evening in one of the world's most spectacular camping spots. 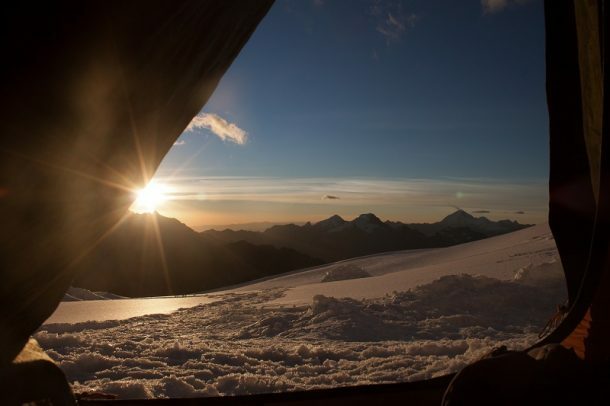 Depart from camp and head to the steep summit wall of Alpamayo, then begin the climb up the southwest face, reaching summit in the early morning. Rest day, so you can sit back and enjoy the view! If there are any issues affecting timing (such as unstable weather), this day also acts as another opportunity to summit. Summit day on Quitaraju (6,040m), which offers the same fun, technical terrain as Alpamayo with a bit more elevation. 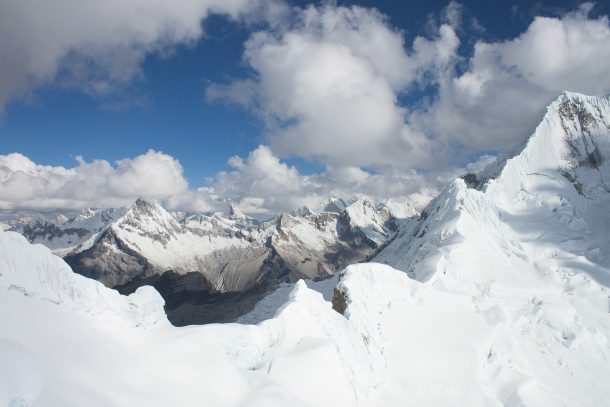 Descend all the way back to the Base Camp, and enjoy the feeling of having climbed some truly awesome peaks. Hike back out to Cashapampa, returning to Huaraz around 4pm. Check into your hotel for a hot and well-deserved shower. Meet again for a celebratory feast that evening. Last minute gift shopping before departing for Lima at 10am, arriving at the airport or your hotel by 7pm at the latest. 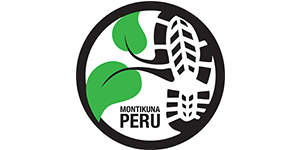 Fully inclusive 15-day expedition with all services from Lima to Lima. 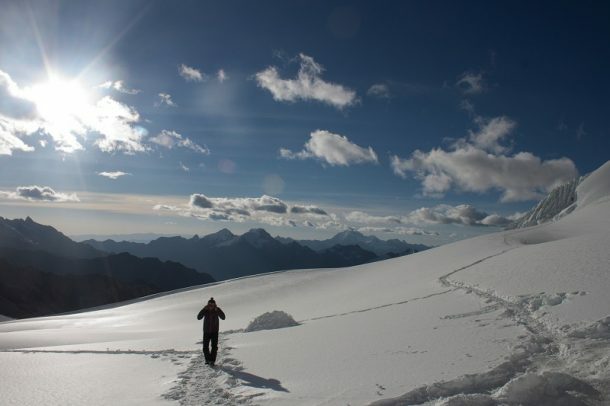 Includes acclimation activities as well as guided climbs of Alpamayo, Quitaraju and Huarapasca. Only one spot left. Price: $2,990. 8 people confirmed. 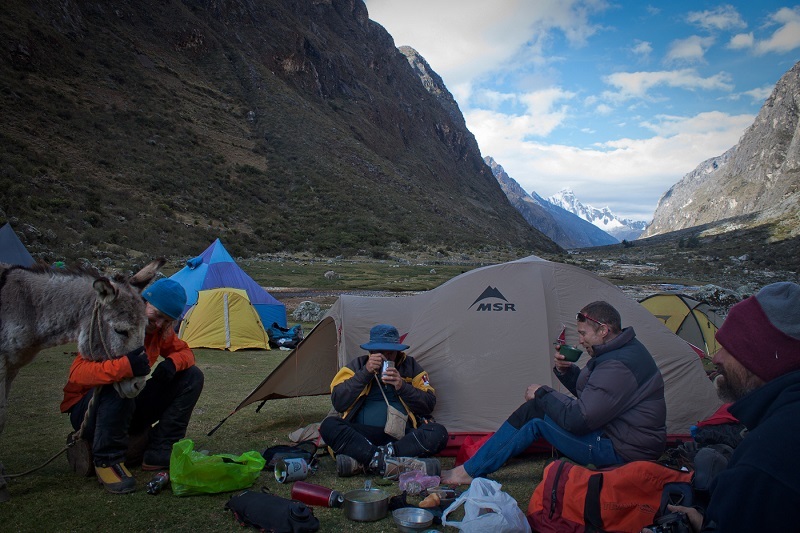 Fully inclusive 15-day expedition with all services from Lima to Lima. Includes acclimation activities as well as guided climbs of Alpamayo, Quitaraju and Huarapasca. Max. team size: 8. Price: $2,990. 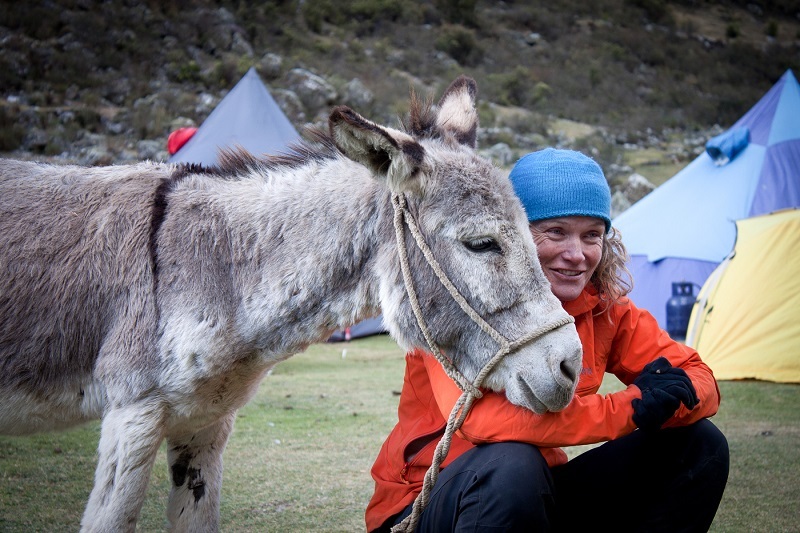 Fully inclusive 15-day expedition with all services from Lima to Lima. 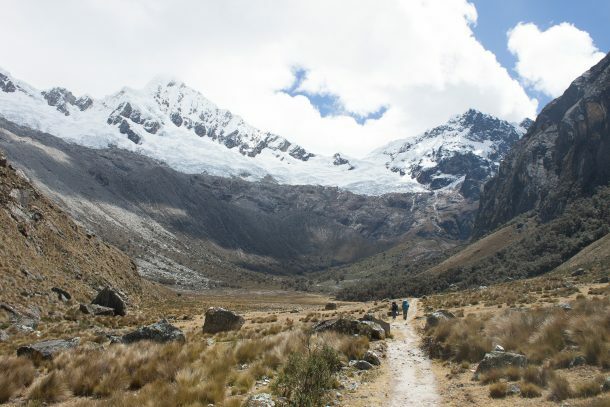 Includes acclimation activities as well as guided climbs of Alpamayo, Quitaraju and Huarapasca. One person confirmed and looking for at least one more to join. Price: $2,990.